This is a supportive image for Lamassu from the Louvre in Paris. 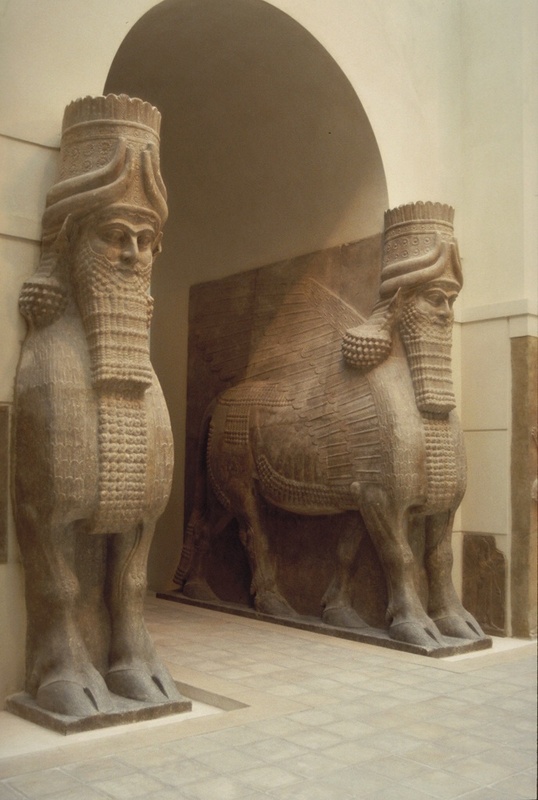 Lamassu is a protective hybrid that is usually found in pairs. They either guard palaces or cities from evil entities .